Tikifire - Four years in the making. 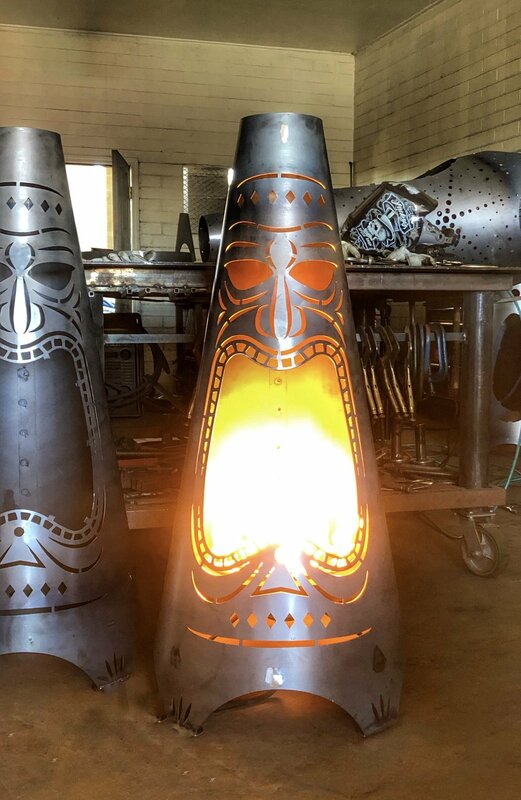 Back in 2015 when Jon Arvizu, illustrator extraordinaire worked up some sweet branding items for Modfire, he pitched me on a steel sleeve that would fit over an existing Modfire and turn it into a Tiki face. It was clever, but the timing wasn’t right. However the vision of it stuck in my mind and I kept revisiting it. Four years later Jon and I were lucky enough to finally collaborate on our latest design The Tikifire. It only took four years...then one day, The Stars aligned, the island natives didn’t riot and the fire gods approved. This limited edition wonder comes to life in a 4ft. (Tikifire) or 7ft. (Big Kahuna) edition. We will be launching Tikifire this Weekend during AZ Tiki Oasis at the Valley Ho Hotel in Scottsdale April 12-14 (10-4pm) FREE ADMISSION. Come check out Modfire and get your very own ultra-rare, fire belching TIKIFIRE sticker.